The last time we printed “Hawaii Geek Meet” shirts (featuring our fantastic logo designed by Valentino Valdez) was in 2013, for our ninth annual event. The lime green shirts weren’t exactly fashion forward, but they made quite a statement, especially at subsequent Geek Meets as well as at geeky events around town. 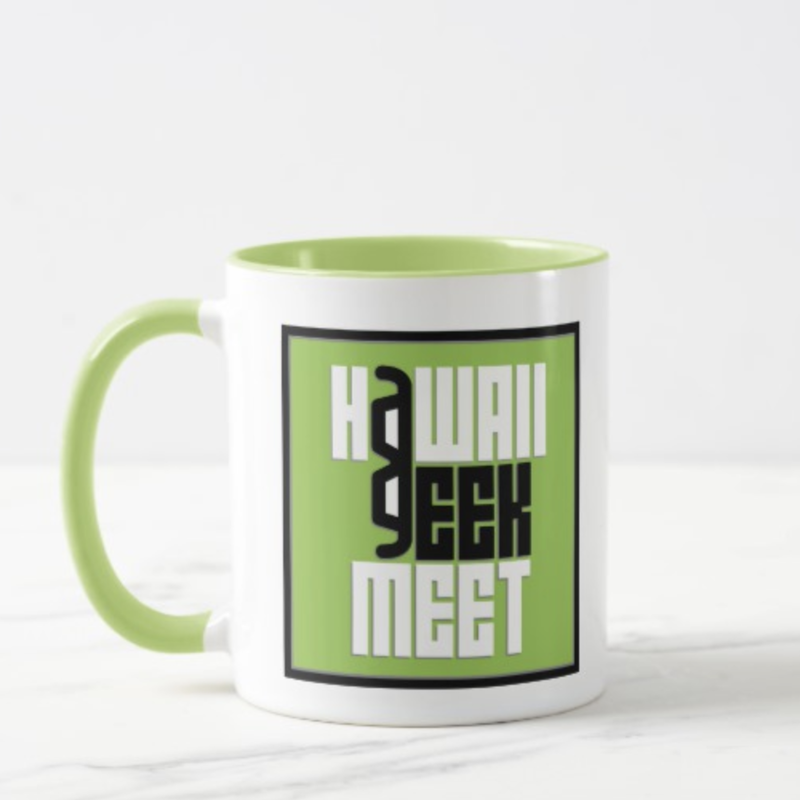 For the 12th annual Hawaii Geek Meet on May 26, 2019, we’re going to do another Hawaii Geek Meet T-shirt run! Not only that, but by popular and reasonable demand, we have women’s cuts and kids’ shirts as well! To pre-order yours, just click “Shop” at the top of any HawaiiGeek.com page, or click here. We’ll be printing our first batch the first week of April, so if you’d like to get yours by mail early, please order by May 1. Our second batch will be printed right before the Geek Meet, so to be sure you can pick yours up at the event, please order by May 18. In addition to the official lime green T-shirts, we’ve also set up a simple print-on-demand shop at Zazzle. Here you can order shirts and other Hawaii Geek Meet items and get them anytime.